The images were created by scanning of the original photographs by George and Tony Bolland, who copied them on to a CD which is held by Bottesford Community Heritage Project. 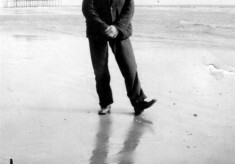 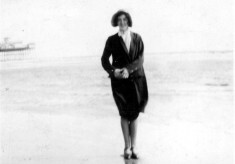 Mr Joe Bolland, on Skegness beach while on his honeymoon. 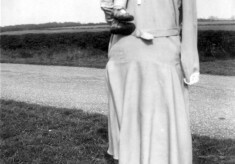 Skegness pier is in the background. 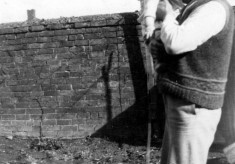 Jeff Bolland in front of the shed at the end of Retford’s Yard, off Chapel Street. 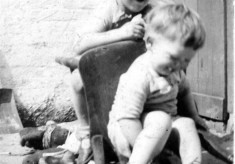 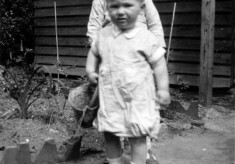 George Bolland, as an infant: the location is probably Retford’s Yard. 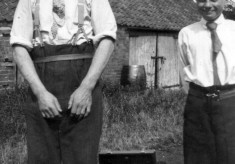 Jeff Bolland (rear) and George Bolland, by the shed at the end of Retford’s Yard, off Chapel Street in Bottesford. 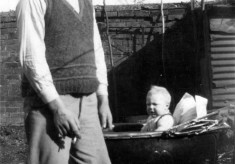 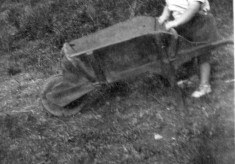 Joe Bolland looking at son Jeff Bolland in the pram, in Retford’s Yard. 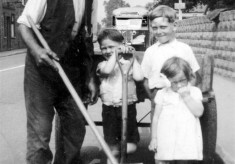 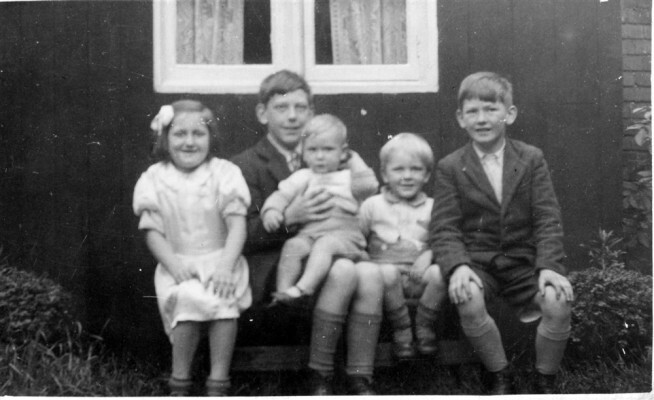 Grandfather Bolland with children George, Jeff and Jean Bolland. 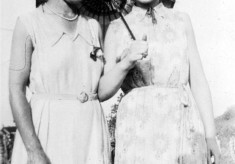 Randall’s bus in the background. 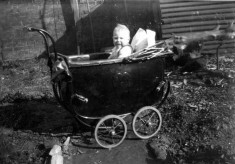 Jeff Bolland, a baby in the pram in Retford’s Yard, off Chapel Street, Bottesford. 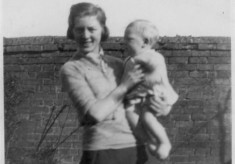 In Retford’s Yard, Rhoda Bolland (mum) holds a baby whose identity is uncertain. 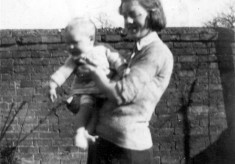 A second picture showing Rhoda Bolland holding a baby in Retford’s Yard. 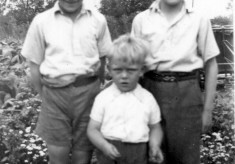 Bolland chilldren, Jeff, George and Jean, in a garden in Bottesford, the tower of St Mary’s in the background. 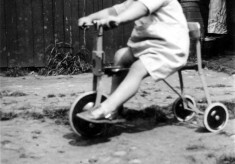 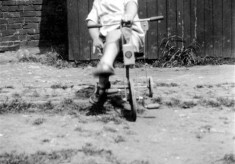 Jeff Bolland on his tricycle in front of the shed at the rear of Retford’s Yard. 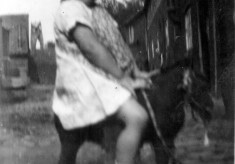 Jean Bolland on her toy horse, in Retford’s Yard. 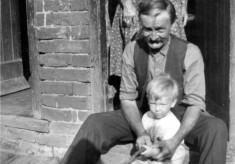 Cyril Wand (uncle of the Bolland children) and E.A.Brookes (nee Wand): location at the Wand home in Long Bennington. 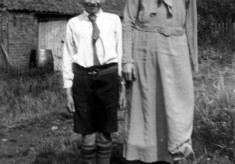 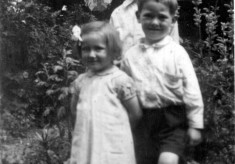 Cyril Wand and his sister Rhoda Wand, who became Rhoda Bolland. 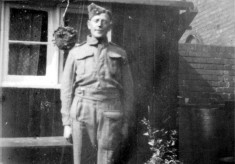 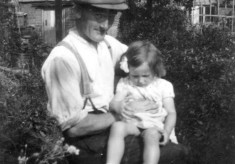 Henry Bolland, uncle of the Bolland children, on leave during the Second World War. 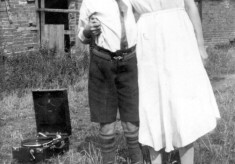 Joe Bolland (left) and Cyril Wand, with a wind-up gramaphone outside a barn at the Wand home in Long Bennington.